Vice President, Government Relations, Shaw Communications Inc.
Vice President and Chief Financial Officer – Rifle Shot Oil Corp.
Alberta Theatre Projects was founded by Douglas Riske and Lucille Wagner in association with a dedicated group of Calgary artists and volunteers in 1972. D. Michael Dobbin, Producing Director Emeritus, 1983-1999. Alberta Theatre Projects is a not-for-profit theatre and an active member of the Professional Association of Canadian Theatres (PACT). Alberta Theatre Projects engages theatre artists who are members of Playwrights Guild of Canada (PGC), Associated Designers of Canada (ADC) and Canadian Actors’ Equity Association (CAEA) under the terms of the Canadian Theatre Agreement (CTA). 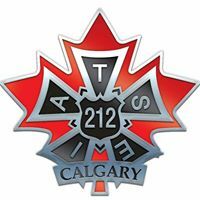 Production and technical personnel are engaged under a collective agreement with IATSE (International Alliance of Theatrical Stage Employees) Local 212. Alberta Theatre Projects is an allied member of The Calgary Congress for Equity & Diversity in the Arts (CCEDA).